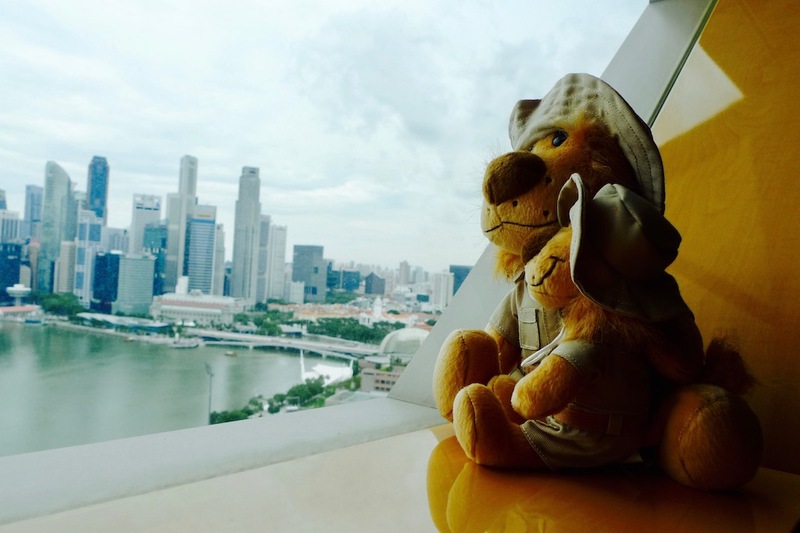 The Ritz Kids Night Safari Adventures is a staycation with a difference, taking glamping in the city to a whole new level as kids get to stay in a tent under a canopy of stars – within the hotel room! There’s glamping, and there’s Glamping at the Ritz. Say what you will but offered both options, I’d take the latter anytime, no contest. 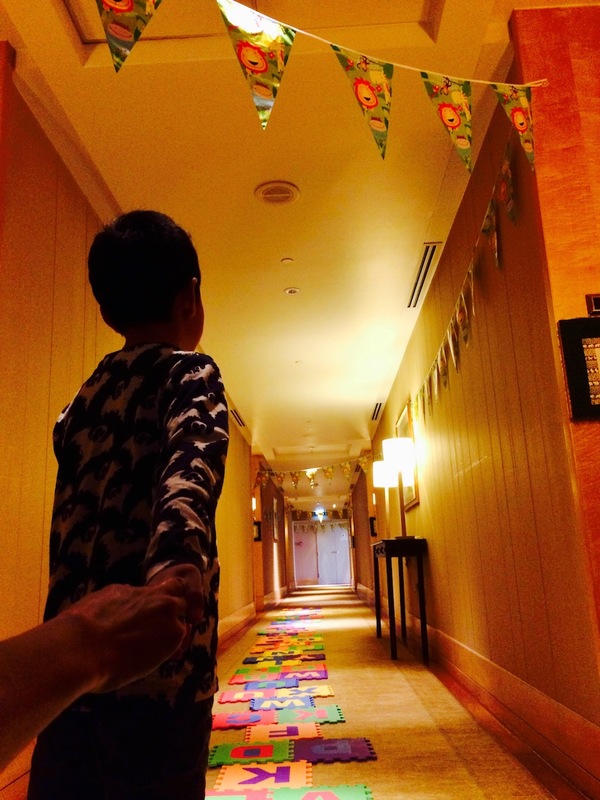 The Ritz-Carlton Millenia Singapore recently created a Ritz Kids Night Safari Adventures package, an in-room camping adventure for children so when we were invited to try it, I took this opportunity to have a #MomAndSons staycation with my boys. 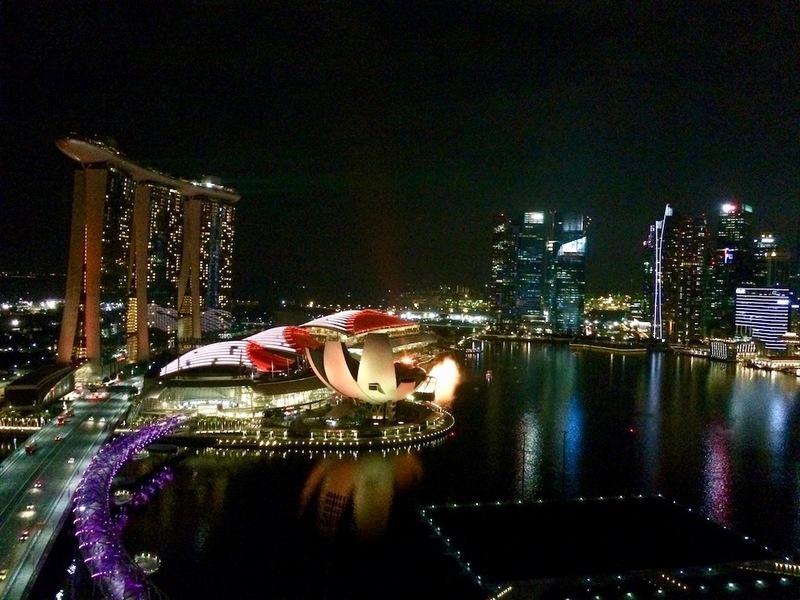 The timing was perfect – just before the PSLE marking week holiday. 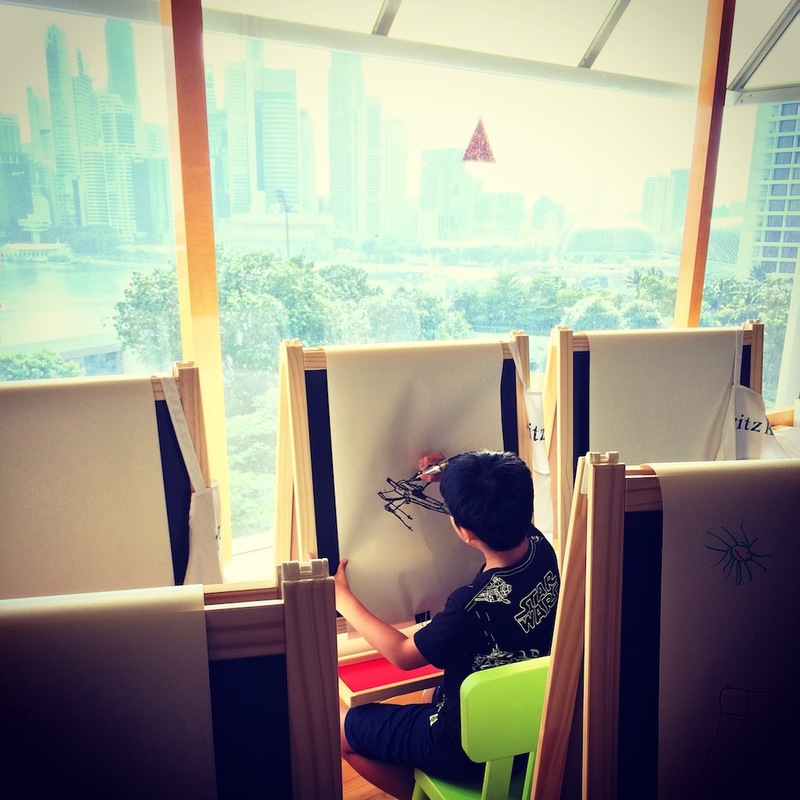 Even better, the hotel launched its Ritz Kids Play Area on Level 4 over the weekend, and we got to experience this too! 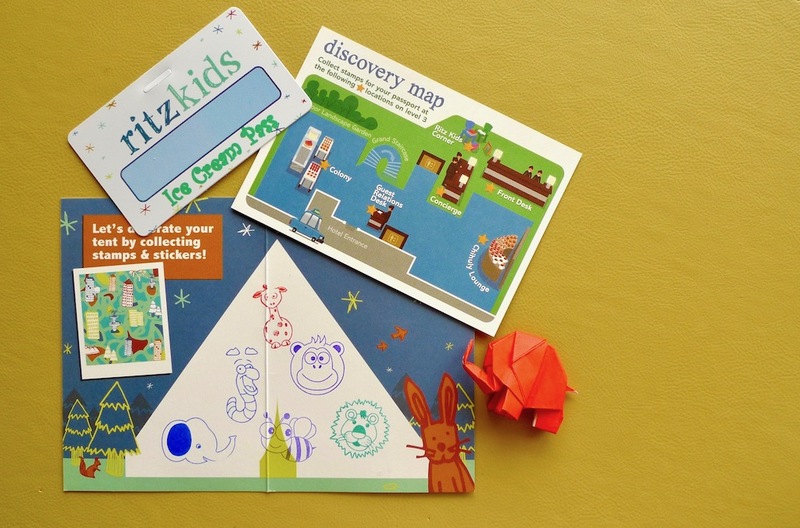 The treats start even before check-in, as the boys are presented with their Ritz Kids Adventure Passports, discovery maps, activity letters, and ice cream passes (!) which entitle them to a complimentary scoop of ice cream each day of their stay. 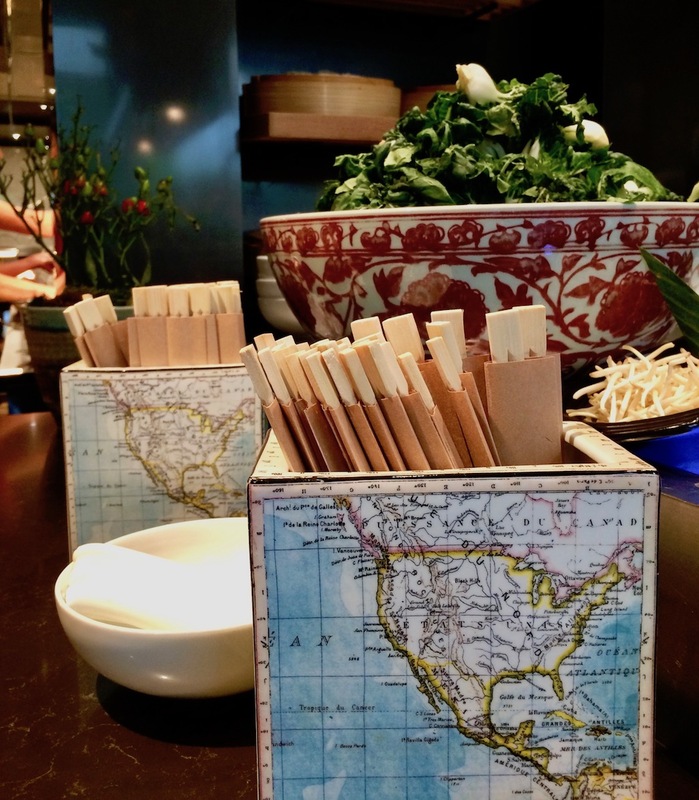 Following directions on the map, they can collect stamps at six checkpoints around the hotel, and redeem a Polaroid photo memento as a reward. 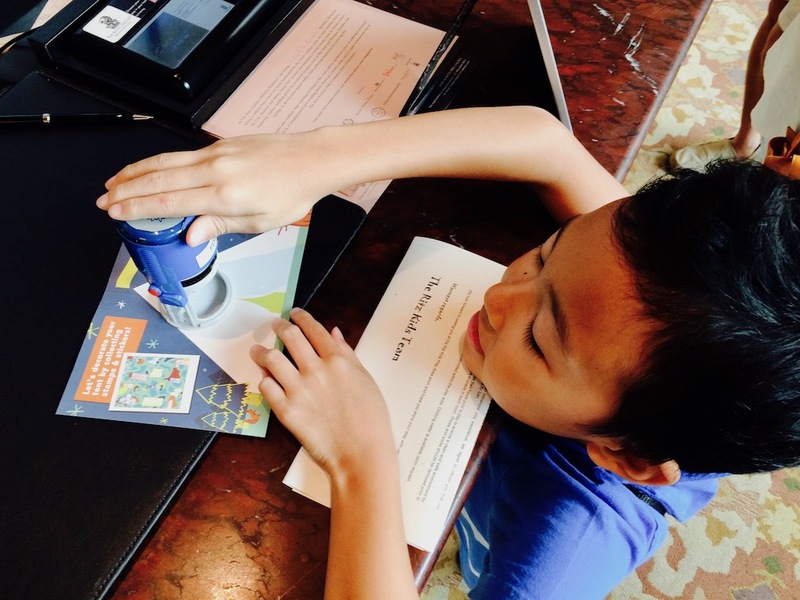 One of the checkpoints is right at the check-in counter so the kids begin collecting their stamps immediately! We have a hot date with the new Ritz Kids Play Area on Level 4 but the boys are on a seek and stamp mission (must be a guy thing). The staff live up to their excellent reputation, escorting them from checkpoint to checkpoint and offering them the option of doing the stamping themselves. By the time we get to our Premier Suite, our luggage has arrived and is placed in the room’s walk-in closet. 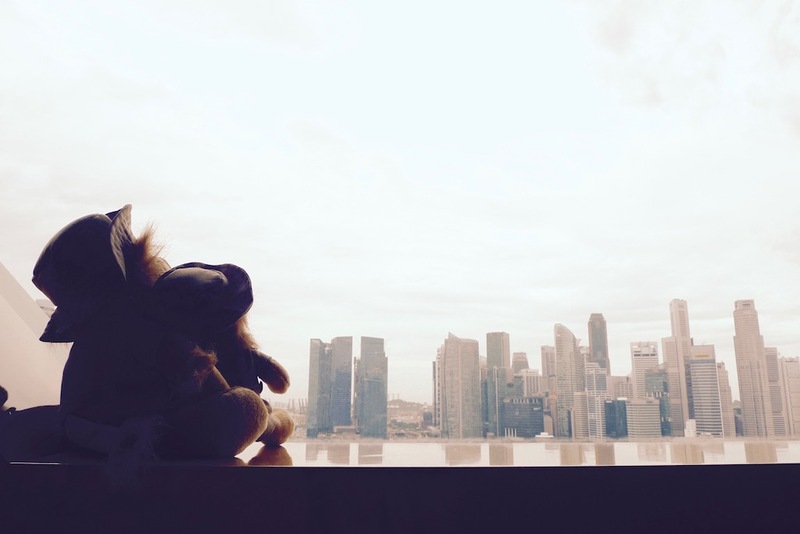 Having had staycations here before, we know that we’ll be enjoying the Marina Bay vista from our window. Like magic, it draws us to the wall-to-wall windows where we stand and contemplate with awe – and not a small amount of pride – the beauty of this place we call home. I break out a Nespresso capsule (provided in the room) and make myself a parent survival cuppa. The boys break out their origami paper. When I told them that we’d be having a safari-themed night, they packed to match. 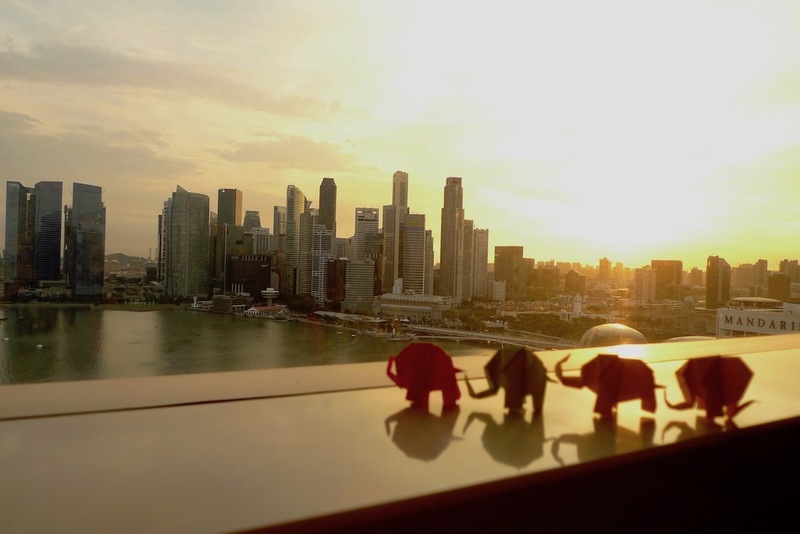 They folded origami animals, brought their toy animals, tucked the binoculars into the luggage bag, and took Rudyard Kipling’s Jungle Book and Gerald Durrell’s My Family And Other Animals along to read. Once the paper creatures have settled down to enjoy the best view of the Bay, we make our way to Level 4 of the hotel where five guest rooms have been transformed into the Ritz Kids Play Area. 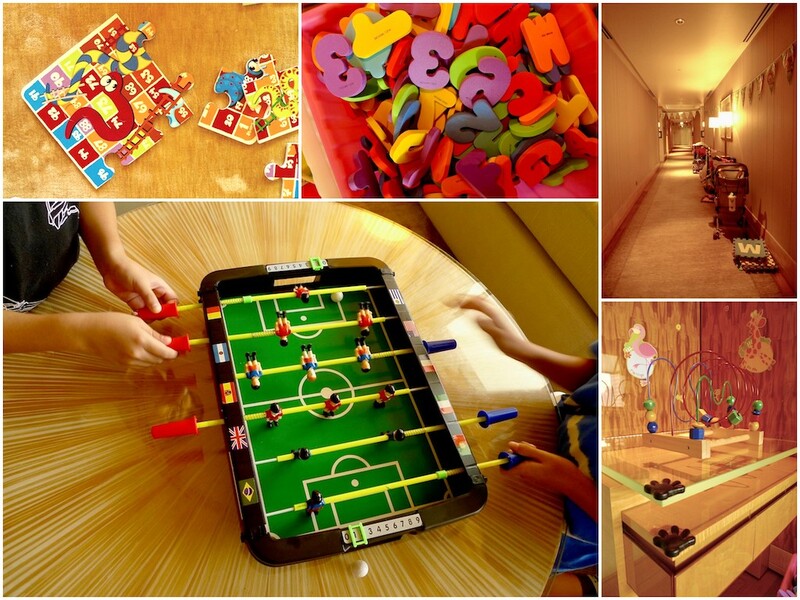 Each room offers a unique fun experience for children aged four to 12 years. They can watch Movies Under the Stars, read a book at the Children’s Library, get hands-on fun in the Games Room, create art in the Drawing Room (where there will be craft activities from 10 am – 12 noon, and from 3 – 5 pm daily), or dwell in the Safari House where they can romp around in an inflatable ball bit, play in a tent, and whip up a meal with masak-masak at a mini kitchen. Watch the video below for a really quick tour! It’s easy to get lost in the play. There’s a Fruit Cone making activity going on in the Drawing Room and in-between doodling Star Wars fighters and Pokémon creatures, the kids fill up ice cream cones with cubed fruit for a healthy afternoon snack. There are Ritz Kids staff to guide, aid, encourage, and heap praise. No wonder they don’t want to leave the room! At the Games Room, a mini table football set keeps the boys occupied. Younger children build wooden railways, play upsized Snakes & Ladders, and stay engaged with learning toys that spin and whirl. I appreciate the corner protectors but wish we’d all been told to remove our footwear before coming in. There are too many shoes – adults and kids alike – around toys that little ones may pick up and mouth. Footwear does come off in the Safari House Room, where there’s a compact inflatable ball pit and an in-room tent set up for active play. 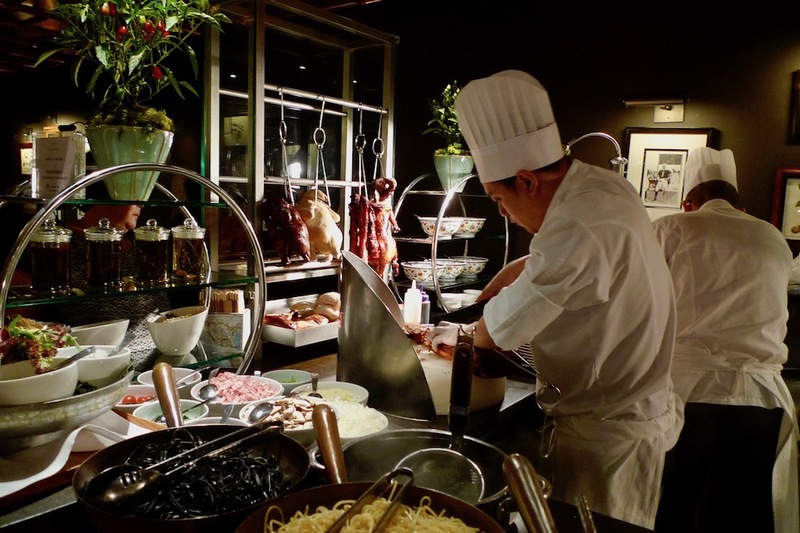 There’s an IKEA play kitchen with so many food and kitchen accessories, wannabe chefs can whip up a meal to rival the buffets at the Colony Restaurant one level below. As the afternoon draws to a close we settle at the Children’s Library and Reading Room. 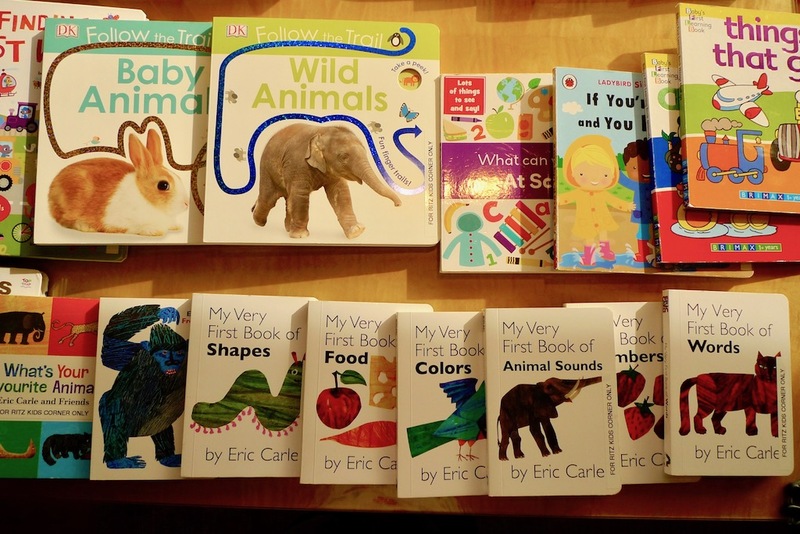 There are selections in English, Mandarin, and Japanese for young bookworms to enjoy. The Firstborn is in heaven when he finds a Roald Dahl book that he hasn’t yet devoured. The Younger, usually less enthusiastic when it comes to reading, is captivated by a Star Wars reader. 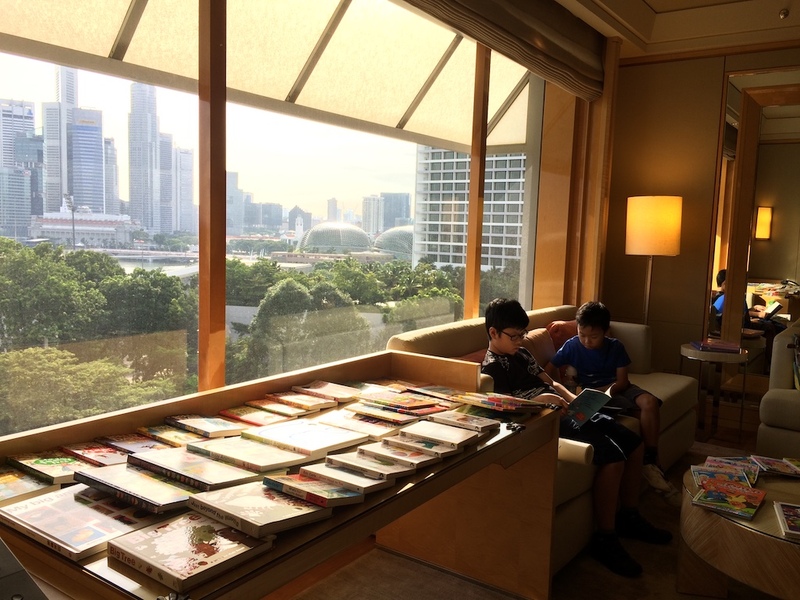 It’s such a wonderful space to read in, the Firstborn confides later. 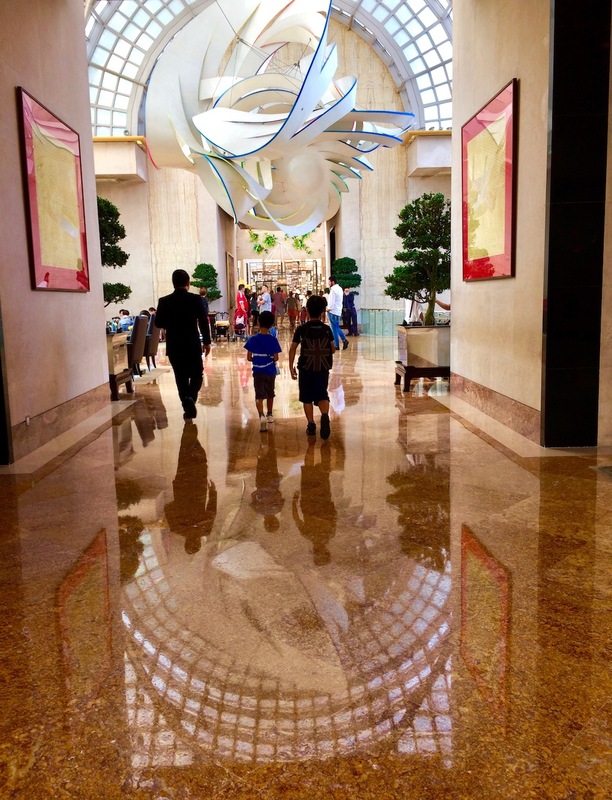 • The Ritz Kids Play Area is open from 9.30 am to 5.30 pm daily, closing in time for families to return to their rooms and get ready for dinner. • Adult supervision is required at all times. This is not a drop-off Kids’ Club. So stay on, watch your children play, and enjoy the bonding. 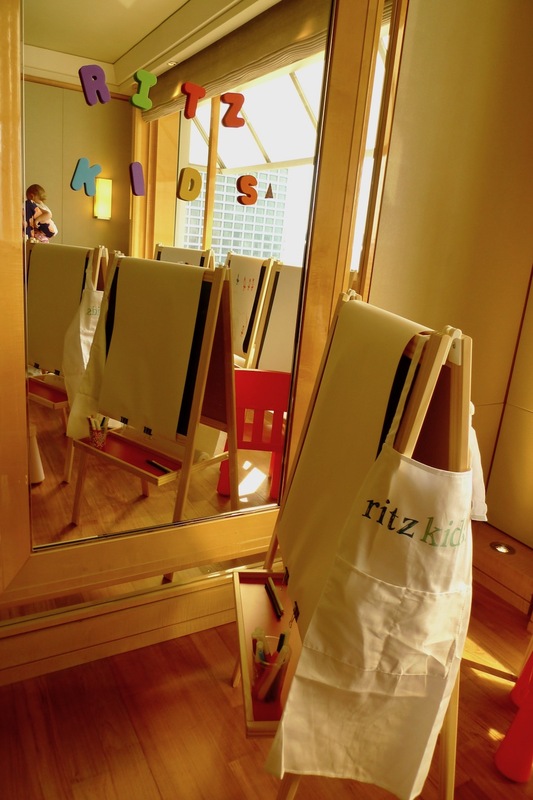 • All toys, games, books, and equipment are for use in the Ritz Kids Play Area only. • Sanitisers are available in each room. Shoes and socks should be removed before entering the ball pit in the Safari House. 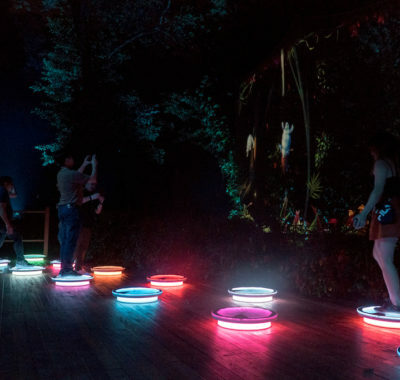 • Food and beverage consumption is not allowed within the play area. Drinking water is available upon request. 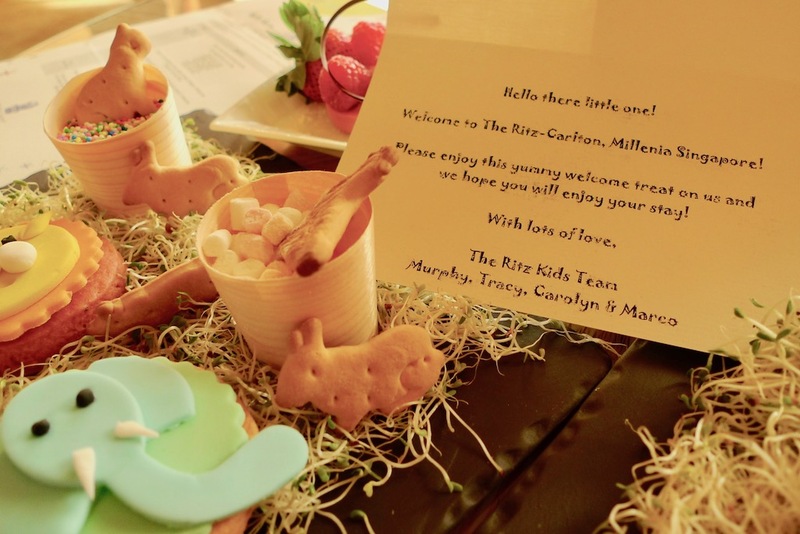 There are more yummy Ritz Kids treats waiting when we return to our room! 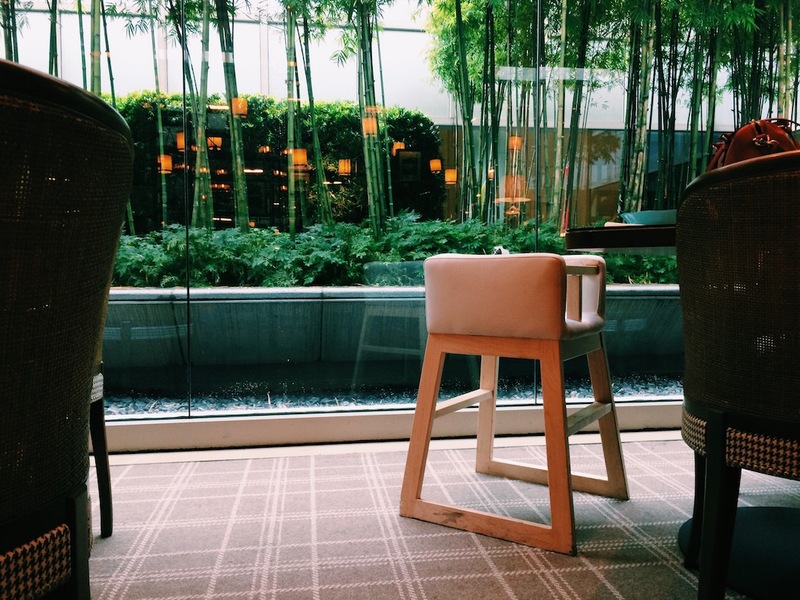 We have dinner at Colony, which serves heritage cuisine in a British-colonial setting. This used to be The Greenhouse, but was revamped with a brand new look late last year. 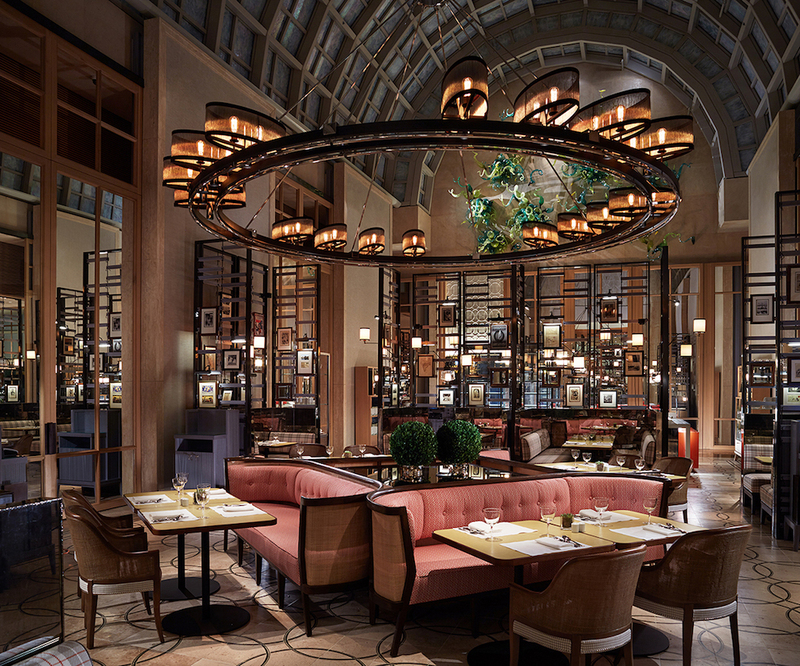 The vast space has been cleverly divided into different types of seating arrangements, offering cosy booths for couples, plush circular segments for small groups, and long tables for groups. It’s a little dim, but there’s a wonderful sense of intimacy and privacy even though the place is bustling. The decor is a mix of eclectic and vintage and there’s so much to look at, it’s a feast for all the senses, not just the stomach (though that particular part of the body does get a good workout, especially if you come with the intent to gastronomically colonise all seven different conservatory kitchens). 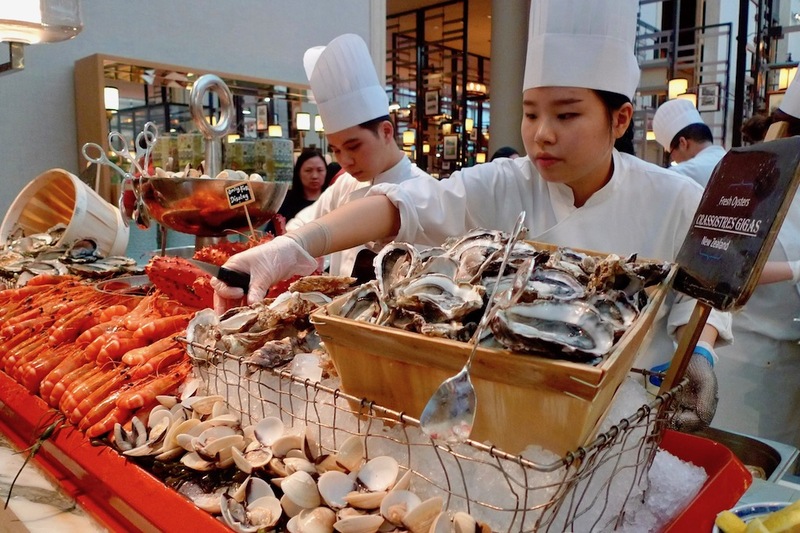 The Ice Bar is hopping all night long, with King crab legs, half shell scallops, black mussels and poached ‘live’ prawns disappearing as fast as they appear. At The Grill & Rotisserie there’s even a queue for the grilled lobsters! 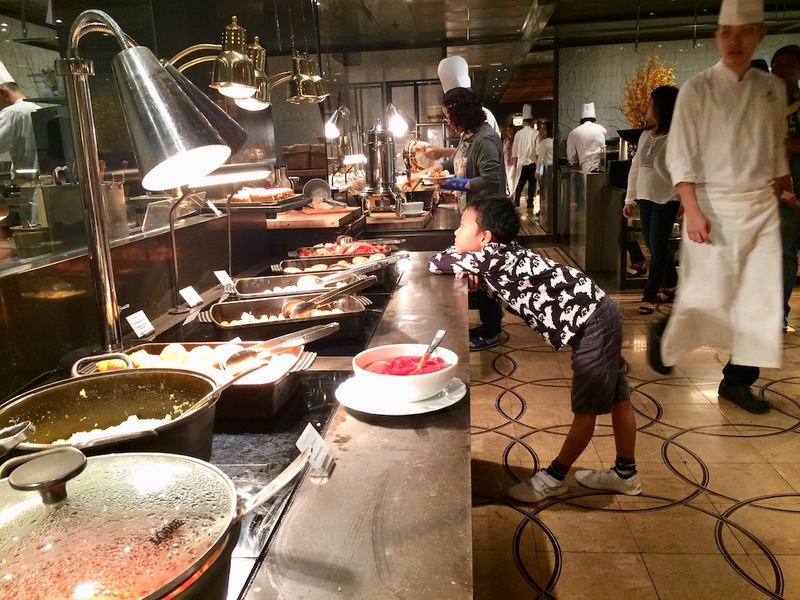 The kids stick to familiar Asian favourites: sushi, fried rice, prawn paste chicken, biryani, Indian curries, and poppadam. I’ve been told that the Colony laksa with homemade lobster ball is a must-try. 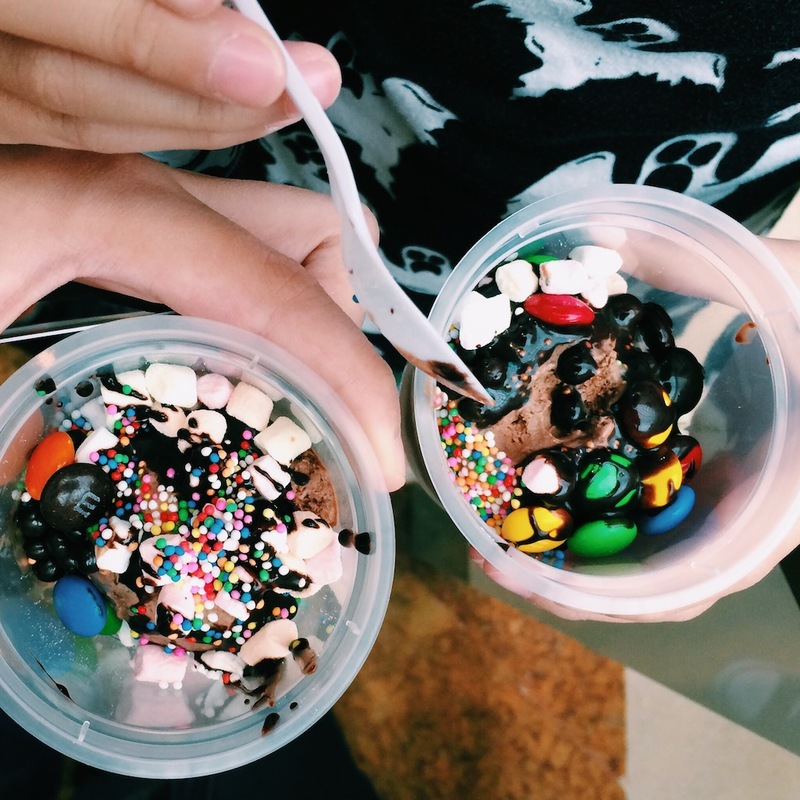 So is the chendol ice cream, the chocolate lava cake, the crepe suzette… oh we’ll definitely be back! 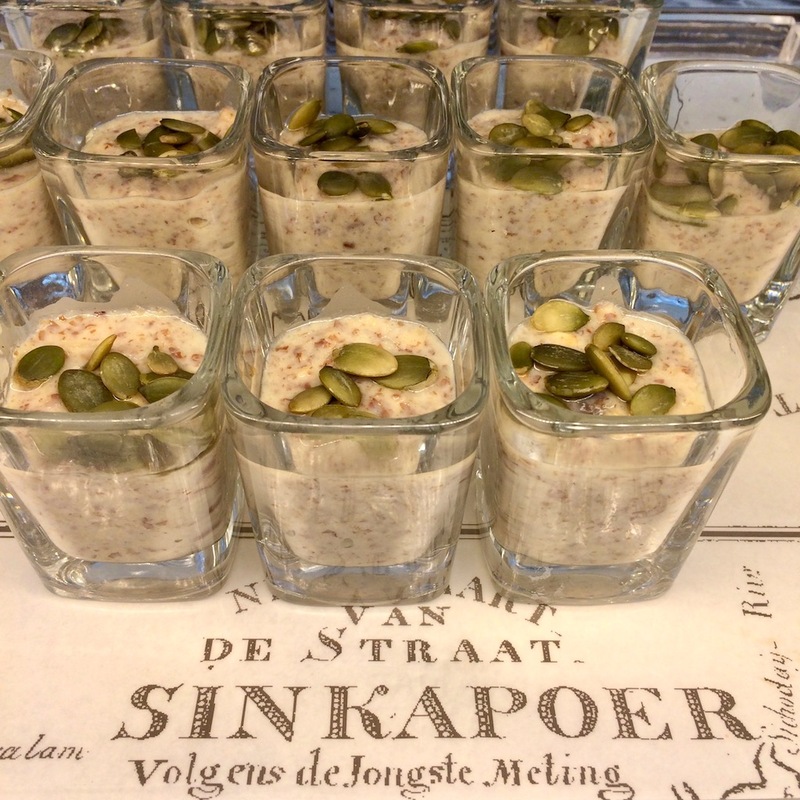 Breakfast is served here as well. Again, we are spoilt for choice. The staff rise to the occasion again and again, helping the kids with their plates and customising our meal requests with smiles. Do try to come down early though. By 9.30 am there is a queue waiting to enter. 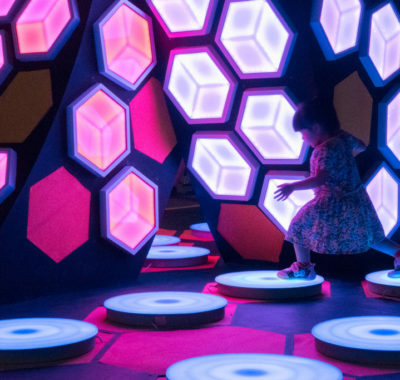 Babes and toddlers get the most beautifully-designed seats in the colony! The boys get a surprise when we return to the room after dinner. There’s a tent in the bedroom, the moon and stars are shining right above us, and a family of Ritz Carlton lions have come to join us. 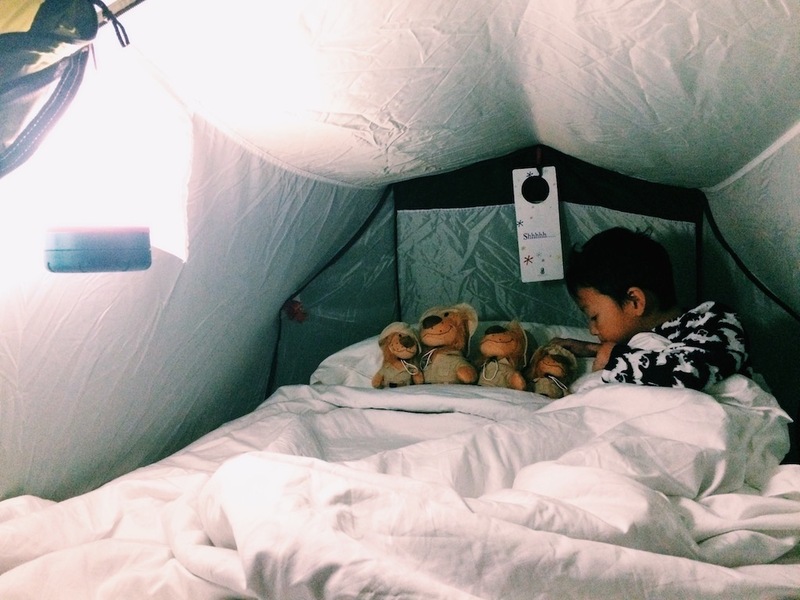 The tent is large enough to fit a single-sized mattress which has been dressed up in Ritz-Carlton linens and it comes complete with fluffy pillows, a “Shhhhh” Ritz Kids door hanger, and an adorable night lamp. 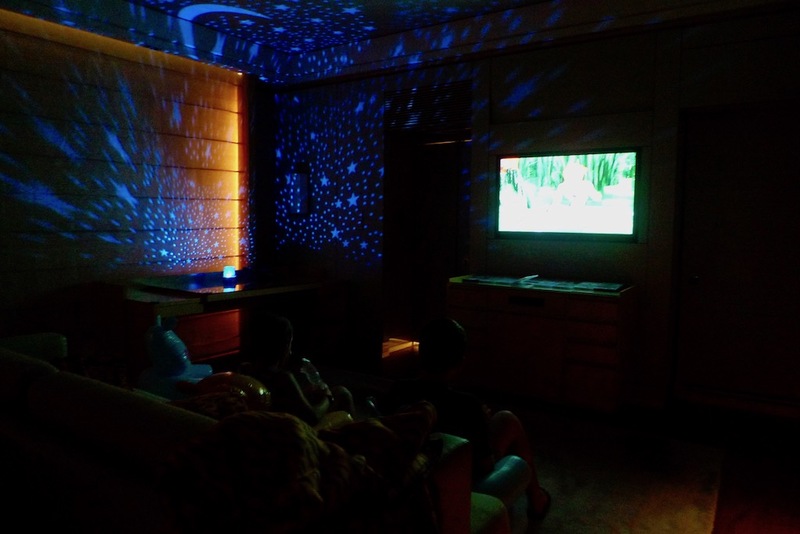 A mini projector beams the perfect night sky over the walls and ceiling of the room. “Awesome!” the boys breathe. For once bedtime is a breeze. The boys can’t wait to sleep in the tent. 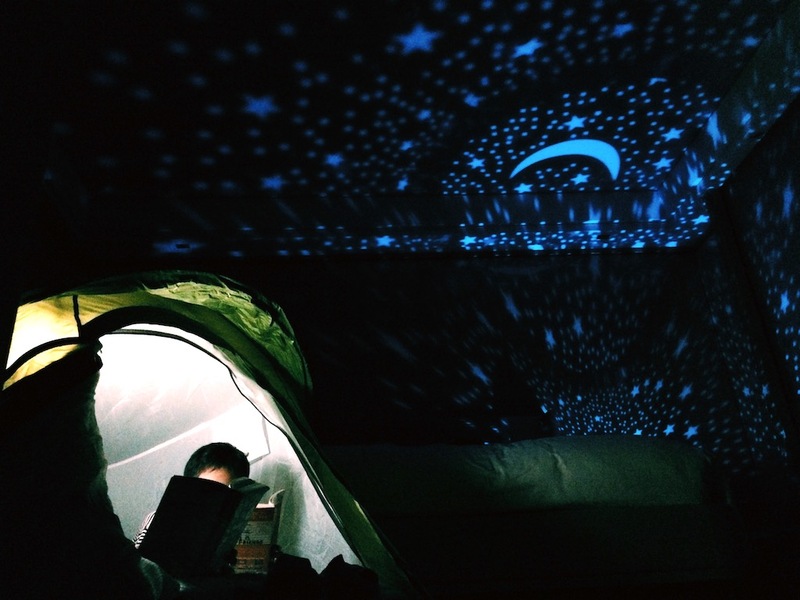 They experiment with the lamp’s settings, stake their sides on the mattress, pet the lions, and lie back to look at the canopy of stars in motion above us. If you’ve come expecting a rugged, macho, camping experience Bear Grylls-style, prepare to be disappointed. This isn’t that kind of camp. 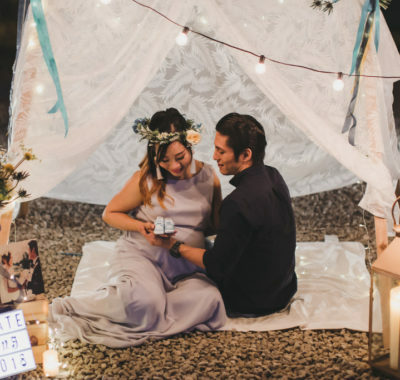 This is so magical and dreamy, it’s almost unreal. The only things missing are the sounds of the night, the smells of the night, and the insects. Strike that, we don’t miss the insects. Heads hit pillows and they’re out in minutes. Good night! 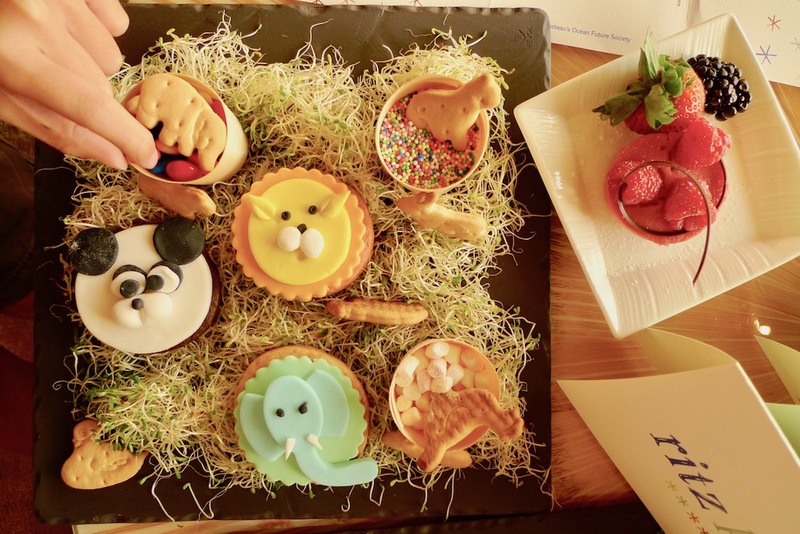 The “Ritz Kids Night Safari Adventures” room package seeks to cultivate the spirit of the great outdoors in young children, and cater to their inquisitiveness, creativity and thirst for new adventures. 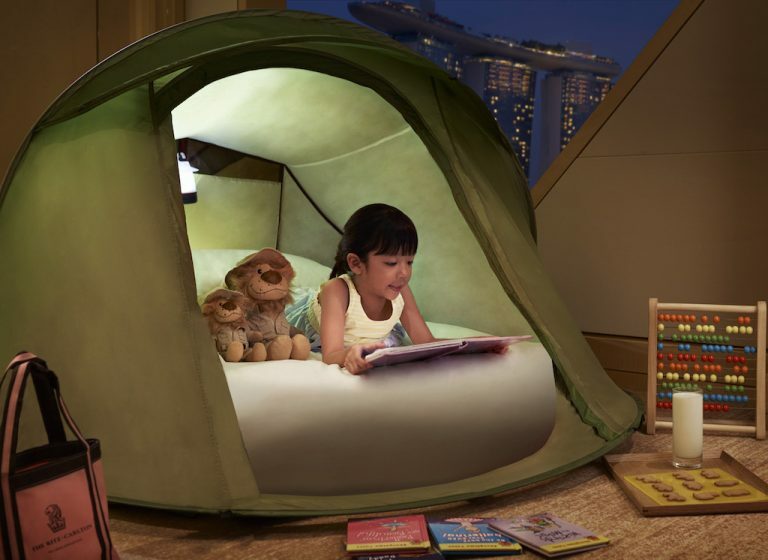 From the moment you check-in, this immersive programme will take the little ones on an adventure, where they will be delighted to discover a sleeping tent pitched in the room, and equipped with a night lamp, an edible turndown amenity, a Ritz-Carlton lion beanie and an engaging activity book. 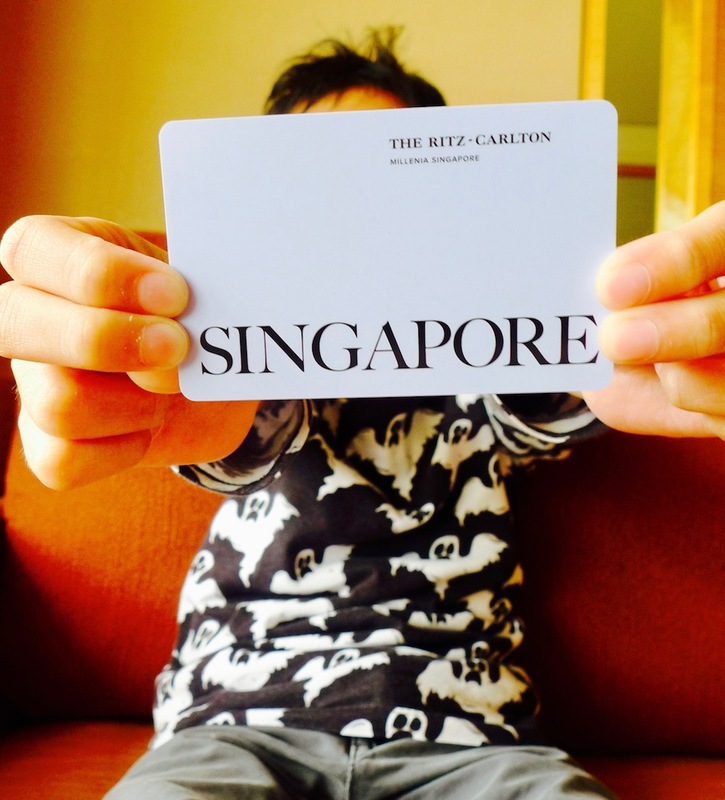 The “Ritz Kids Night Safari Adventures” room package starts from SGD 650 per night. Get more information about the room package.